Hard surface flooring is a popular choice for residential and commercial properties. It is beautiful, durable, and easy to maintain. From tile and natural stone to wood, concrete, and vinyl flooring options, Hudson Valley Contracting & DKI can help maintain your floor’s beauty through our professional hard surface cleaning services. Our team specializes in caring for your hard surfaces, and our friendly staff is happy to help you keep your floors looking great for a long time. Contact us today! The key to keeping your hard surface floors looking great is regular maintenance. Dirt, sand, asphalt, oils and other contaminants and soils from outside are easily tracked into your home or business. These abrasive particles slowly wear away at your floor’s finish, dulling the appearance and contributing to wear. 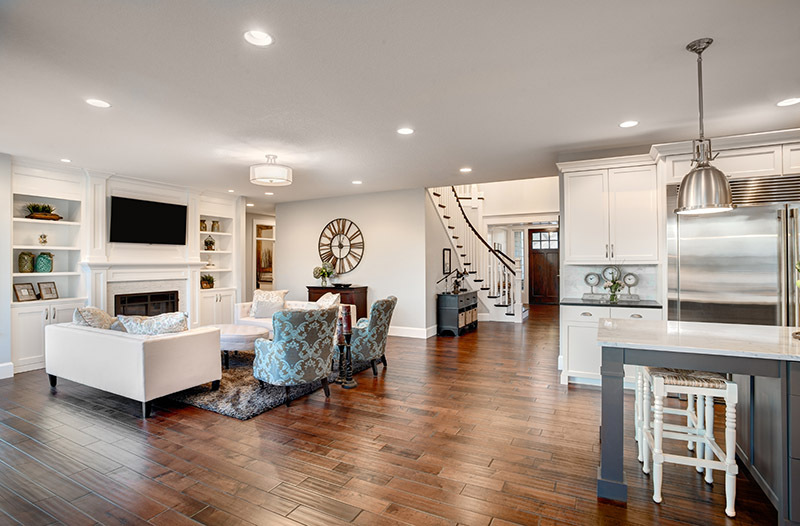 Sweeping, vacuuming, and mopping only do so much, and over time your floor’s finish will require professional attention to restore its natural beauty. At Hudson Valley Contracting & DKI, we are highly skilled in hard surface cleaning. Our professional technicians are equipped with the latest equipment and advanced training to ensure you get the best results. Whether tile, wood, stone, concrete, vinyl, or other hard flooring surface, we will take care of your floors while delivering the highest level of customer service and quality you can expect from Hudson Valley Contracting & DKI.